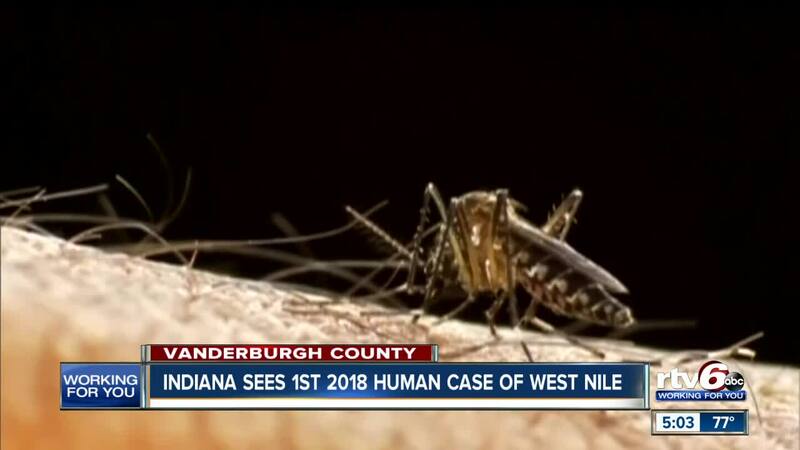 INDIANAPOLIS -- The first human Indiana case of West Nile Virus was found this week, and state health officials are urging Hoosiers to take precaution. 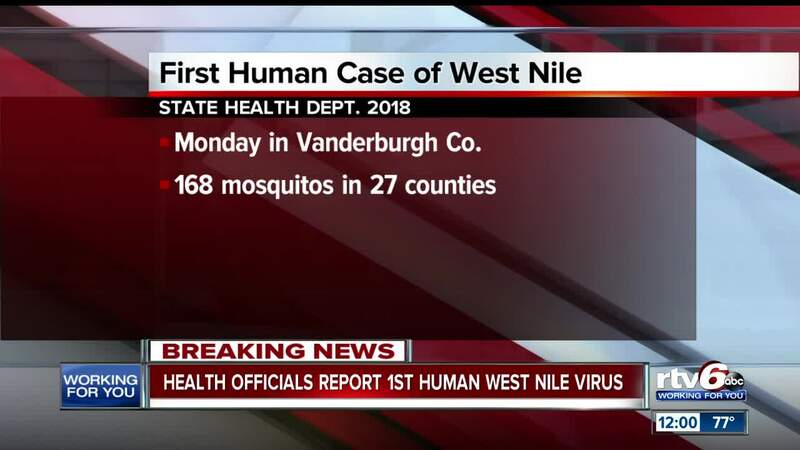 One human case of West Nile was detected in Vanderburgh County as of Monday. The Indiana State Department of Health said 168 mosquito samples in 27 Indiana counties have tested positive for the virus. The ISDH expects to see more West Nile activity throughout the state.